Kim Kardashian has insisted she did enjoy her honeymoon in Ireland, after arriving back in LAX without her husband Kanye West. Taking to her Twitter account, Kim wrote: 'Had the best most relaxing romantic honeymoon in Ireland & Prague!'. Kim then wrote about being away from her daughter North, who was chaperoned home to LA after the wedding by grandmother Kris Jenner. 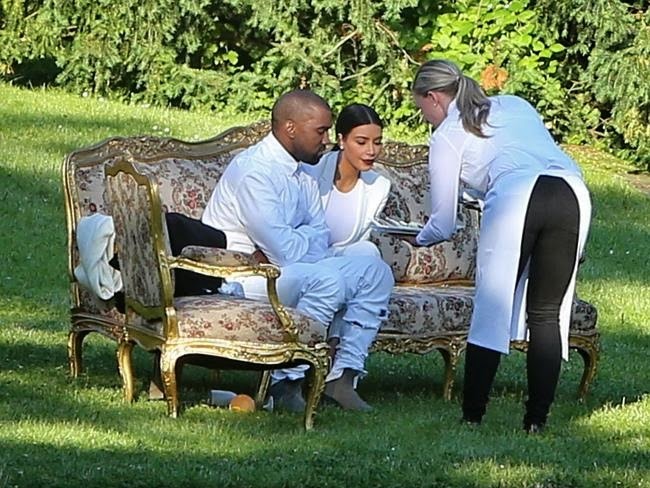 The star also congratulated Kanye's stylist Renelou Padora, who got married in Prague at the weekend, where Kim and Kanye attended. 'Congrats Renelou & JP!!!!!! Such a beautiful wedding! Wishing you a lifetime of love & hapiness!' she wrote. However, it was unclear why Kim arrived back in Los Angeles by herself. Kanye, 36, is set to headline the X Games in Austin, Texas, but those don't kick off until Thursday, so it's a mystery as to why the hip-hop artist would have parted ways with Kim so soon. 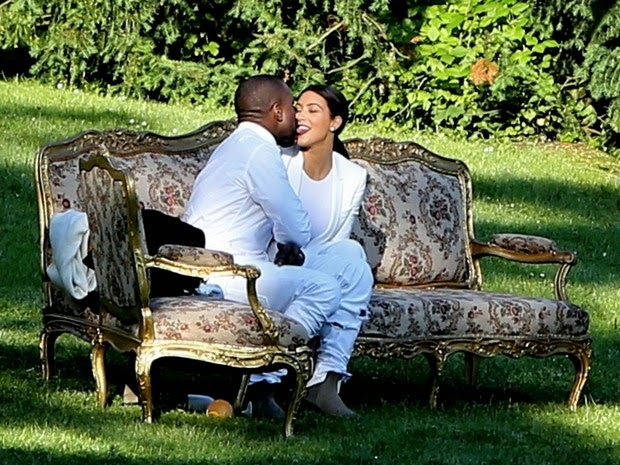 Kim reportedly fell in love with Ireland in 2012, when the Chicago-native was on tour, and even flew in to surprise him for his 35th birthday. So the Bound 2 hitmaker thought he had made a romantic gesture by planning the trip there and was additionally encouraged by Kim's mum Kris Jenner, who honeymooned there with Bruce Jenner in 1991. But while Kim has insisted she did enjoy her honeymoon, a source tells MailOnline that it wasn't the case. ‘How the couple ended up in gloomy Portlaoise, is a mystery to me,’ says an Irish source. ‘It consists of flat midlands, working class villages and very little to write home about in the way of touristy sights. Not only did they skip the touristy stuff, they also spent an entire afternoon riding mountain bikes on the muddy and treacherous trails in the Ballyhoura Mountains north of Cork. 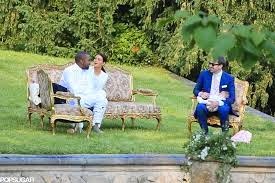 A source says that by day four, Kim was so bored with her ho-hum honeymoon that she begged Kanye to fly to Prague, Czech Republic a day early so they could attend a festive Friday night rehearsal party, as well as the Saturday wedding of Kanye’s personal stylist, Renelou Padera. ‘Kim’s idea of fun is getting dressed up and going to some great restaurants, and shopping till she drops in some of Europe’s most posh boutiques,’ adds the source. ‘Not roughing it in the country. ‘Once they landed in Prague, and Kim had a chance to get decked out in her finest again, she seemed a lot more content. 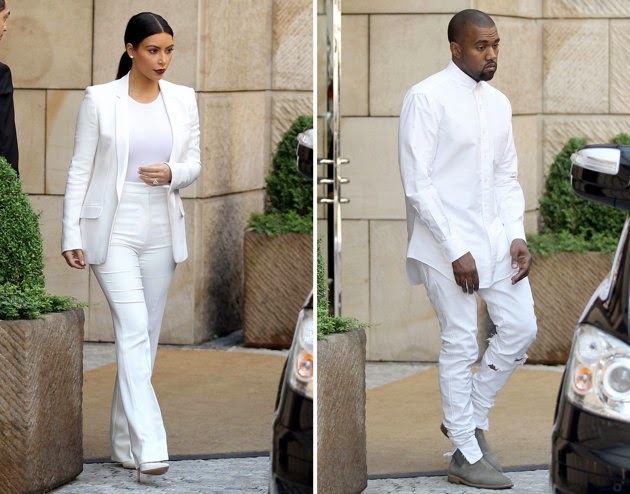 Indeed, Kim and Kanye appeared charming in their matching all-white ensembles and even put on quite the PDA show during the wedding Saturday. 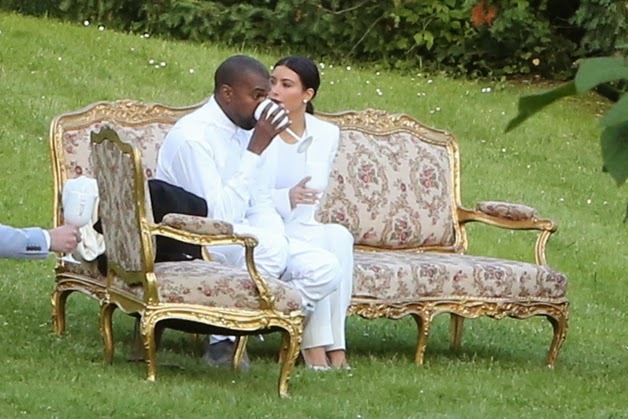 Eight days after tying the knot in their lavish Italian wedding, Kim and Kanye were heading towards the Prague Václav Havel Airport together Sunday morning, before Kim made her solo arrival into New York City and later back home in Los Angeles. Kim is set to pay a visit to celebrity vacation spot the Hamptons as she films the Keeping Up With The Kardashians spinoff, Kourtney & Khloé Take The Hamptons, which begins filming any day now. However, with the mother-of-one only making an appearance on the show, which will be helmed by her sisters, she's expected to be in and out in a matter of days, leaving her with plenty of time to spend with her precious new family. It's unclear as to whether her daughter North, eleven months, will be joining her. The tot, who turns one on June 15, has recently been under the care of grandmother Kris at her Calabasas home.